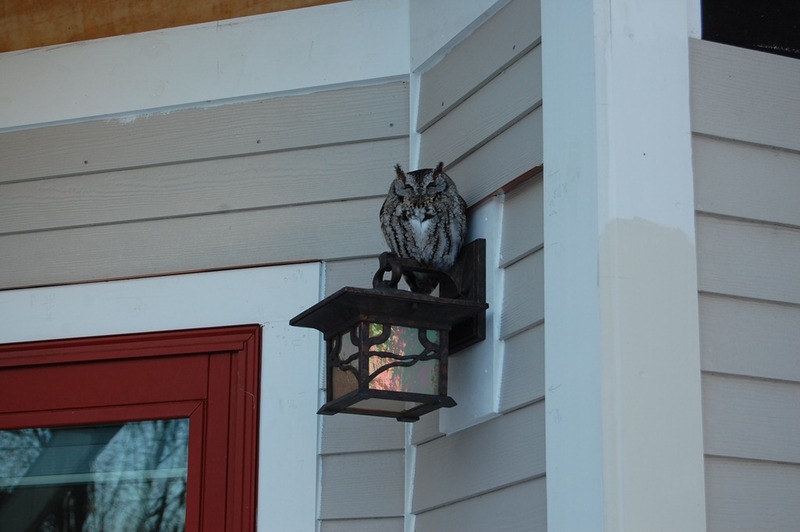 Eric Johnson sent me these photos last week of an owl perched on his patio porch light. Beautiful; how lucky to have seen it! Yup, I’d say an Eastern Screech, partly from the size and partly from the fact that the breast is vertically barred — Great Horned Owls have strong horizontal bars. By the way, GHO’s are common right in town, though seldom seen, at least by me. I heard a couple of them hooting in the classical way one night a week or two ago on the east side of Manitou St. The last (only) time I saw screech owls up close was circa 1978, inside the office of Dr. Charles Kemper of Chippewa Falls WI. 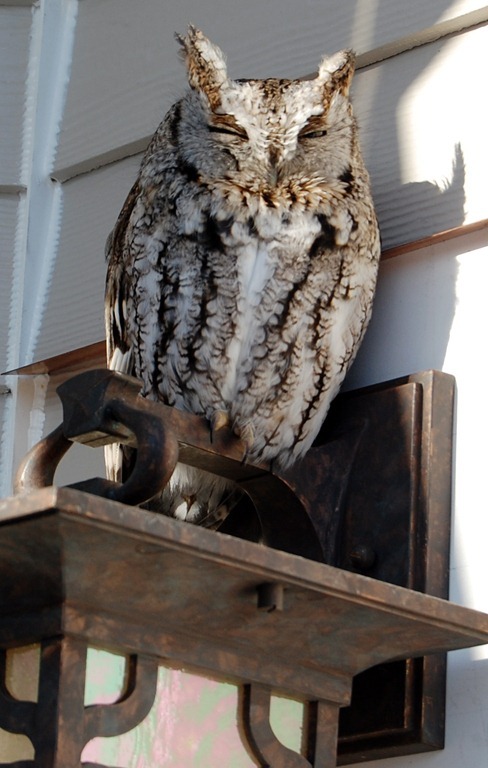 Apart from treating humans, he also cared for injured birds – including a pair of blind screech owls which he kept because they would not be able to survive in the wild.